Jim Kucera started teaching at Waverly in 2001. Prior to Waverly, Jim’s career started at Nemaha Valley in 1990. Jim’s responsibilities at Waverly include director of middle school bands, beginning 5th grade band, and director of Jazz bands. Jim has earned a Bachelor’s of Music Education Degree and a Master’s Degree in Educational Administration from the University of Nebraska. 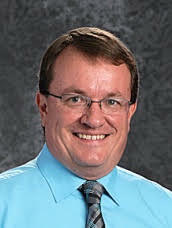 He is a member of NSBA, Nebraska Music Educator’s Association, NAfME, The Jazz Education Network, and the National Association of Secondary School Principals. Jim received the Jack Snider Outstanding Young Band Director Award as well as the Crystal Apple Award for Excellence in Teaching from the Horace Mann Group. Jim serves as the music coordinator for District One with the Nebraska Schools Activities Association. He is a clinician and adjudicator throughout the state. Jim and his wife Deb, have two children, Zach and Britni.